Since its launch a few years ago, WhatsApp has become one of the most recognized and used mobile applications on the planet; one of the most important reasons is that this messaging service regularly renews its system to offer a more efficient service to everyone who uses it. WhatsApp developers have been able to significantly improve this platform and add multiple functions thanks to its regular updates, which is why new official versions of the application are constantly appearing. At the same time, this is one of the most striking aspects of WhatsApp, which has over a billion users. At present, there are a large number of versions of this app, all of them have different features, however, many of these versions are not available today, since the developers of WhatsApp discontinue the older versions to give way to more functional and versatile updates, which facilitate communication. 4 How do I know which version of WhatsApp an iPhone has? 5 How do I uninstall WhatsApp for BlackBerry OS 6 and 7? 6 How to purchase the latest official version of WhatsApp stable? 7 How to install the latest version of WhatsApp for free? 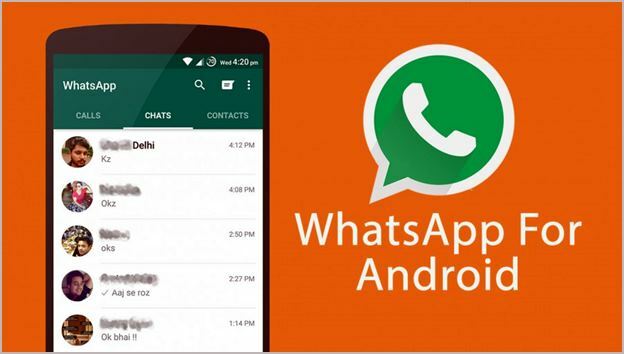 8 Is it safe to download the latest version of WhatsApp Android? 9 Can WhatsApp be installed on Java devices? 10 How to download the latest version of WhatsApp for PC? 11 How to renew the expired version of WhatsApp? Although this application has been able to attract a large number of users through its multiple versions, which make the WhatsApp service more convenient and reliable, the truth is that generally the new adaptations released by this app are flawed. Fortunately, developers can fix them thanks to the beta versions of WhatsApp. Note that each version of WhatsApp has new improvements and features added by the developers. For this reason, new alternatives are constantly being created to obtain these novelties before the next official version is released, these are known as beta versions. In addition, they allow developers to evaluate the performance of these functions. Although many of the users do not see great differences between one version and another, it is true that this application has managed to make major changes and improvements in their system, since it started as a simple messaging chat, and today even gives users the ability to make video calls for free from almost anywhere in the world. As for the most recent version of this messaging service, it has many new features that make it very interesting, since many instant messaging services do not have these functions, which makes WhatsApp increasingly resemble a social network such as Facebook or Instagram. 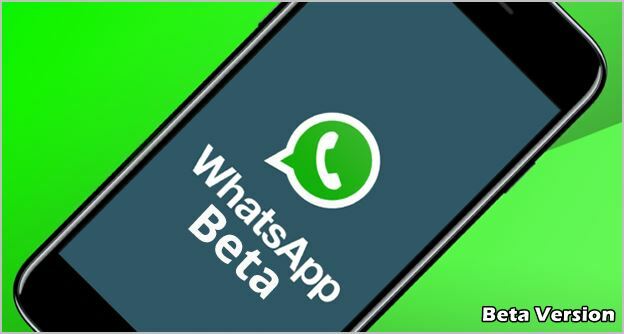 While it is true that WhatsApp presents major improvements with each stable version it releases, it is also true that the application offers two different versions to all its users, a stable or official version, and the beta version, which is available to a group chosen by the platform to test the features of the next updates. 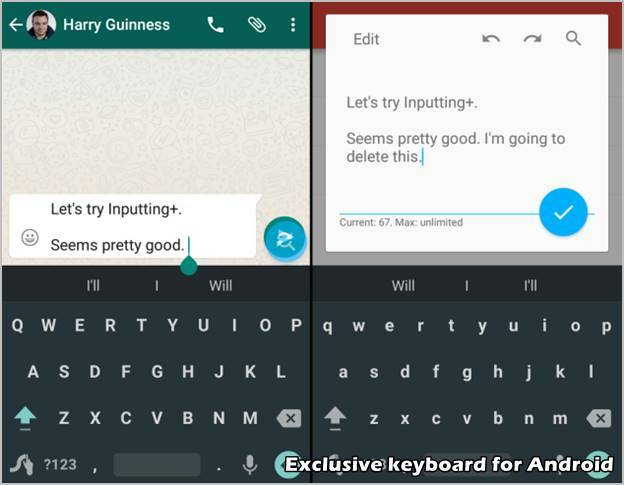 Among the most important features of the latest version of this messaging service, the new keyboard for Android devices stands out, which makes chatting more dynamic and fun. In addition, it has a lot of emojis unpublished, making it very similar to the keyboard of iOS devices. 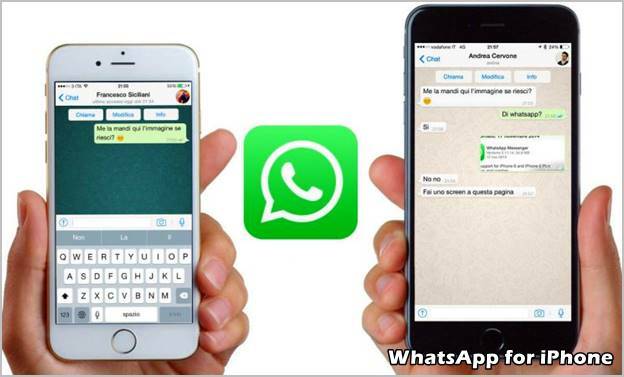 Another improvement of the latest version of WhatsApp, is the possibility of inviting people to groups through invitation links; this way it is not necessary to have the telephone numbers of the group members, since this option allows any member of the group to share information or invite new people without the administrator intervening. At the same time, the latest stable version available of this app, has the ability to make video calls, being one of the most expected features by almost all users for a long time. It is important to know that, to use this function, the device where the application is installed must have a front camera. But that’s not all, as users of this instant messaging service can now view the video files they receive without downloading them, which saves them a lot of time and memory; now all they need to do is click on the video to play it automatically. Finally, users who have the latest version of this application can send GIFs using Gboard or Google keyboard, however, to enjoy this possibility you need to download this keyboard beforehand, which is compatible with multiple applications in addition to WhatsApp. Today, the most recent official version of this application is WhatsApp 2.18.532, it appeared during 2017 and has a lot of important new features. But this is not the case, as this adaptation has been able to correct multiple errors in the application, offering a better experience for its users. This version is available in the different virtual stores of the operating systems with which WhatsApp is compatible; from any of these stores it is possible to download and install a large number of applications and updates directly to the memory of the devices to enjoy them. How do I know which version of WhatsApp an iPhone has? It is always necessary to know with certainty which version of WhatsApp an iPhone or any other device has, as this will allow us to know if it is necessary to update it or not. At the same time, it is possible to know in a more specific way all the functions of the version that the device has. If you want to know exactly which version of WhatsApp you have with your iPhone or any other Apple device, such as your iPad and iPod, just follow a few simple steps. The first thing to do is to enter “Spotlight” by clicking on the menu at the top of the screen and sliding it down completely. The next step is to add a point to the Spotlight browser and click on the “Search” icon, then immediately the digital keyboard will be saved and the system will display all the applications that are on the device, then just choose the WhatsApp application by clicking on its icon. Then, all the information about this messaging service including its version will appear, as well as each of its functions and new features, and the memory space occupied by the application, as specified in the virtual stores of each operating system. How do I uninstall WhatsApp for BlackBerry OS 6 and 7? BlackBerry devices sometimes have difficulty installing the latest version of WhatsApp, fortunately, there is a very simple and effective solution to this problem by uninstalling the stable version installed on the device with BlackBerry OS 6 and 7. However, if you want to uninstall the old version of WhatsApp and download a newer version of this app, just follow these simple steps. First, you must enter the WhatsApp platform by pressing the application icon and then press the BlackBerry key, and choose the first option. It is recommended that you restart your device immediately after the application has been installed, so that your phone can fully assimilate the features of this messaging service, making it much more convenient and efficient; at the same time this will allow the application to synchronize with your device. How to purchase the latest official version of WhatsApp stable? Today, there are two very practical and simple ways people can get the latest version of WhatsApp. The first option is the easiest, as it consists of downloading this messaging service directly from the virtual store of the operating system corresponding to the device, either Android, iOS or Windows Phone. However, it is important to mention that generally with this option it is not possible to download the latest version of WhatsApp, since virtual stores take a long time to offer new versions of this application. But there’s nothing to worry about, as there’s a very simple way to get the latest versions of WhatsApp as they come out. So if you want to get the most modern version of this app, just follow a few steps. The first thing to do is to access the official website of this WhatsApp.com messaging platform. If you are using a mobile device, you should choose the option see as a computer. The next step is to specify the operating system of the device where you want to install WhatsApp by clicking the corresponding icon to start downloading the specific version for each operating system. Before you can do all these steps, you must enable unknown sources on your phone, just like when you download an APK file. 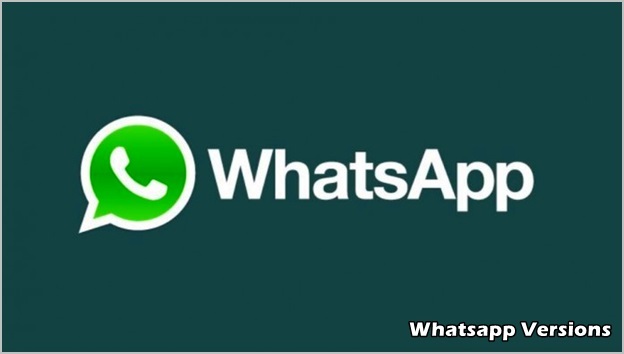 How to install the latest version of WhatsApp for free? Smart phones and devices are increasingly present in the lives of all people because they can become very functional thanks to their efficient mechanism for acquiring applications, as is the case of WhatsApp, which is one of the most recommended messaging services worldwide for its versatility and security. Today, WhatsApp is one of the most downloaded applications worldwide, with more than one billion users and a presence in more than 180 different countries at the same time it is compatible with a large number of mobile operating systems such as Windows Phone, BlackBerry, iOS or Android. One of the most striking aspects of this application is that it constantly adds improvements to its system through updates in order to offer a more versatile, comfortable and functional platform to its users, so it is recommended that everyone keep the latest version of this application on their device. The first step for all devices that have the operating systems mentioned above is very similar, since you must enter the operating system’s virtual store, search for the WhatsApp application, select it and click on the Install button. Once the “Install” button is pressed, the page will automatically display a series of terms and permissions requested by the service, just press OK and the download will begin immediately. If this is the first time the app is installed on a device, the platform will ask you to enter the phone number, specifying the country code, then create a user name and add a profile picture if desired. After adding the user name, the application will send a message to the previously entered phone with a four-digit verification code, which must be entered for the system to validate the user account, so you must wait a few minutes. By carrying out this series of steps, you can enjoy the latest version of this digital messaging service for free. Best of all, all user data will be saved, so all contacts will remain stored in the WhatsApp directory, chats and groups will also remain intact. 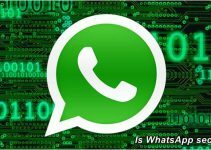 Is it safe to download the latest version of WhatsApp Android? One of the main concerns for all mobile device users is security, as it is true that people’s data can be exposed if the necessary precaution is not taken. The issue of security in the IT world has become quite controversial. However, the chances of falling into the hands of malicious software are very high if the necessary precautions are not taken. 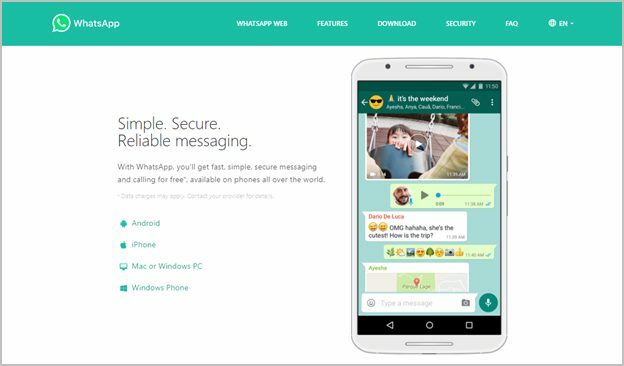 However, the latest version of WhatsApp has an almost infallible encryption code which makes it one of the most secure applications. But WhatsApp is not the only application that has improved its protection system, as most applications are constantly updated to fix any bugs in the previous version; this is very common in the Android operating system, so updates are always available in Google Play. This is why it is so important to install the most current versions that this service launches on the market, because otherwise it is impossible to receive and read messages sent by contacts who have more recent versions, also, very interesting functions will be left aside. 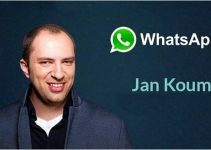 Can WhatsApp be installed on Java devices? Thanks to the growing popularity of WhatsApp, this app is present on a large number of different operating systems, and Java is no exception, there is even a very simple way to install WhatsApp on a Java device, as only the WhatsApp.jar and WhatsApp.jad files need to be downloaded. Then, just copy these files directly to the internal memory of the Java device using a computer; the installation will start automatically, although it is important to note that the WhatsApp version for this operating system is quite limited and does not have many of the functions present in other adaptations. 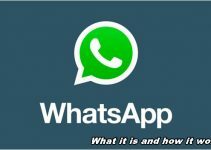 How to download the latest version of WhatsApp for PC? Among the many advantages of WhatsApp, one of the most popular ones for this instant messaging app is the WhatsApp for PC version. With this option, you can chat from a computer simply by installing a program on your computer. Below, we’ll provide you with the entire procedure to perform when setting up the latest version of WhatsApp for PC. First of all, you have to install the app on your computer; for this, you need to download it from the official WhatsApp website. However, it should be noted that the application is compatible from Windows 7 onwards; however, on Mac computers it will work with the latest versions of OS X. Then, you need to link your smartphone to your PC. Open WhatsApp on your phone and enter the WhatsApp Web section by using your smartphone’s camera to scan the QR code that appeared when you started the program on your computer. How to renew the expired version of WhatsApp? One of the essential apps for making calls and sending multimedia messages quickly and easily is WhatsApp. However, the app has an expiration period. Many users complain constantly about the problem of an expiration date in the program. There is often a lack of date and time coordination between the mobile device and the app. However, there may be a possibility that the WhatsApp version will expire due to a lack of application updates. Therefore, if the problem is related to the date and time of the device, it is recommended that you sync your mobile device to the time of the app. Similarly, there is another option to renew the WhatsApp version that has expired. It is a very simple solution, since you only need to enter the apps virtual store of the device’s operating system, and check if the application is requesting an update. What is WhatsApp… and How Does It Work?